- Gold price started a downside move from well above the $1,200 pivot level against the US Dollar. - There is a short-term breakout pattern in place with resistance at $1,195 on the hourly chart of gold versus the USD. - Recently in the US, the Consumer Credit Change figure for July 2018 was released by the Board of Governors of the Federal Reserve. - The outcome was above the forecast of $13.00B as the Consumer Credit Change came in at $16.64B. Recently in the US, the Consumer Credit Change figure for July 2018 was released by the Board of Governors of the Federal Reserve. The market was looking for a change of around $13.00B compared with the last reading of $10.21B. The actual result was above the forecast of $13.00B as the Consumer Credit Change came in at $16.64B. However, the last reading was revised down from $10.21B to $8.46B. Gold price recently moved below the $1,200 support level and it seems like it remains at a risk of more declines below the $1,190 level. 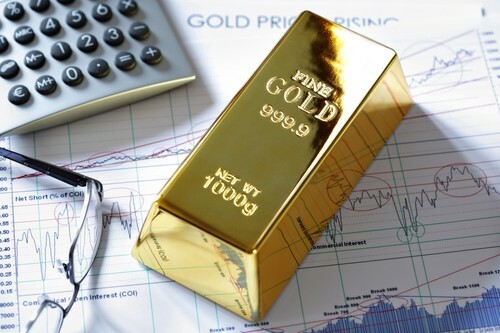 Gold price recently faced a strong selling interest near the $1,205–1,206 resistance zone against the US Dollar. The price started a downside move, broke the $1,200 pivot level, and also settled below the 100 hourly simple moving average. The price traded as low as $1,191 and later started an upward correction. It moved above the 23.6% Fib retracement level of the last slide from the $1,206 high to $1,191 low. However, the upside move was capped by the $1,198 level and the 100 hourly SMA. Moreover, the 50% Fib retracement level of the last slide from the $1,206 high to $1,191 low also acted as a resistance. At the outset, there is a short-term breakout pattern in place with resistance at $1,195 on the hourly chart of gold versus the USD. Therefore, the price is likely to make the next move either above $1,195 or below $1,191. On the upside, above $1,195, the price could move back above $1,200. On the other hand, a break below $1,191 may push the price towards the $1,180 support area.